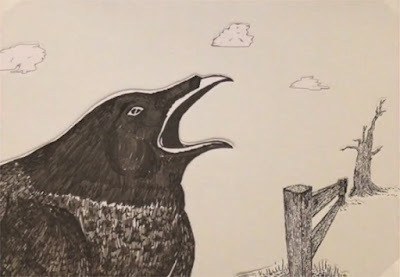 UK folk singer - songwriter Luke De-Sciscio's just released his latest labor of love, a stop animation short film set to The Sky Exhaled and (slowly transitioning to) Vivid Love from his beautifully moving 2016 album Gossamer Rose. So on the first day of this year I decided it was time to try pushing myself in a new direction. Acting, somewhat naively, on a dream - I set myself a month aside to visually bring to life a track of mine in the form of a stop motion animation. With no experience to speak of, this was very much a learning on the go type situation, a month of long days melted away, the deadline jumped to ''End of February'' then ''End of March'' - then the inevitable despair that sort of rears it's ugly head when you start questioning if it wouldn't just be easier to cut your losses and give up... these intense 3 months we're a microcosm of any creative journey. But then the end was in sight.